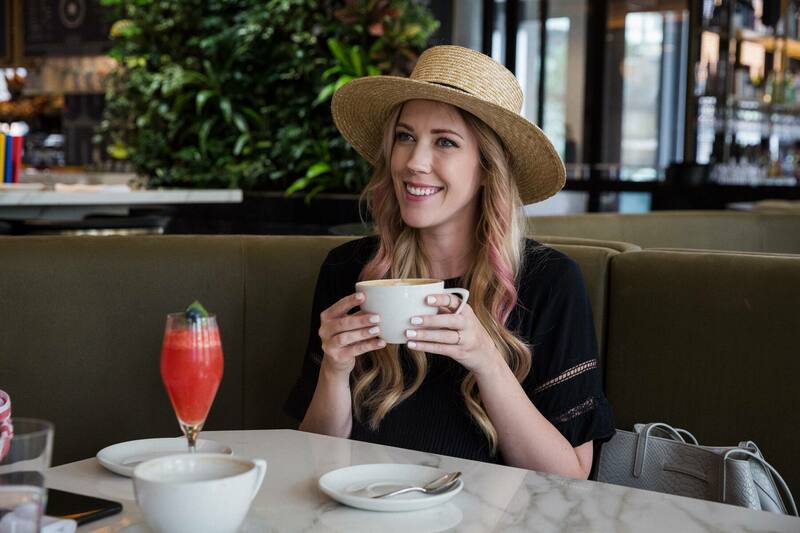 This past Mothers Day I was invited to Ricarda’s with my family to come in and enjoy a delicious brunch to celebrate. It was our first time there and as soon as we walked through the front doors I was immediately impressed. 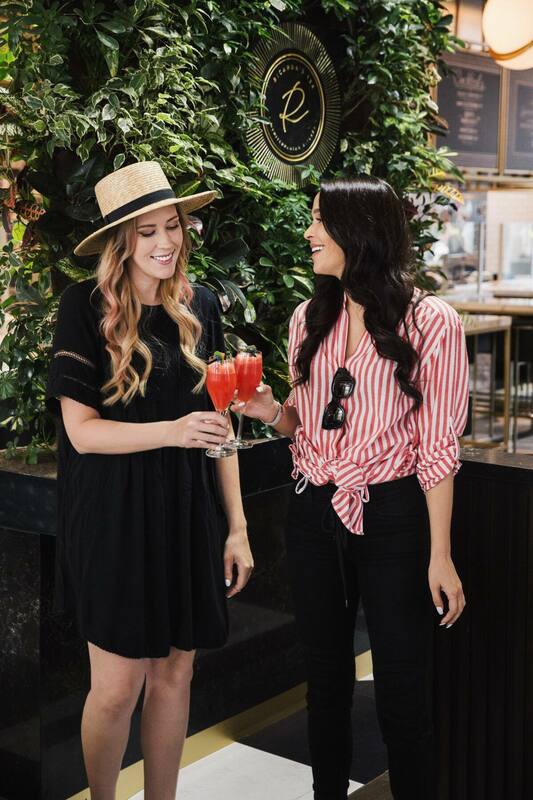 The decor is nothing short of stunning with lush greenery throughout the restaurant and beautiful marble tables and floors. There was a live jazz band playing and the kids were loving the entertainment. Our brunch was so delicious and we thoroughly enjoyed the food. I think Austin went back to the waffle station about four or five times. 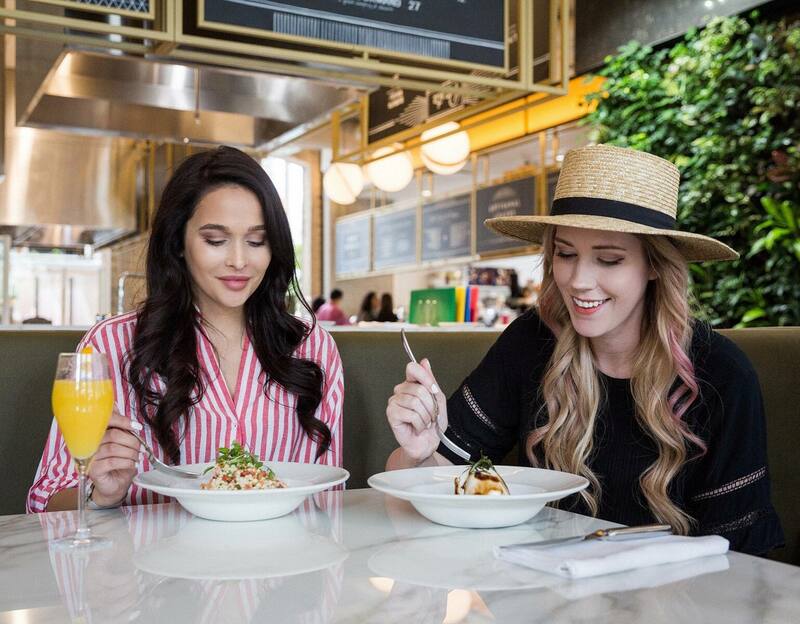 We enjoyed the atmosphere and food so much that I thought I would kick off my restaurant review series (with my best friend Tania) and share with you my top 5 lunch menu items…they are all a ‘must’ try! 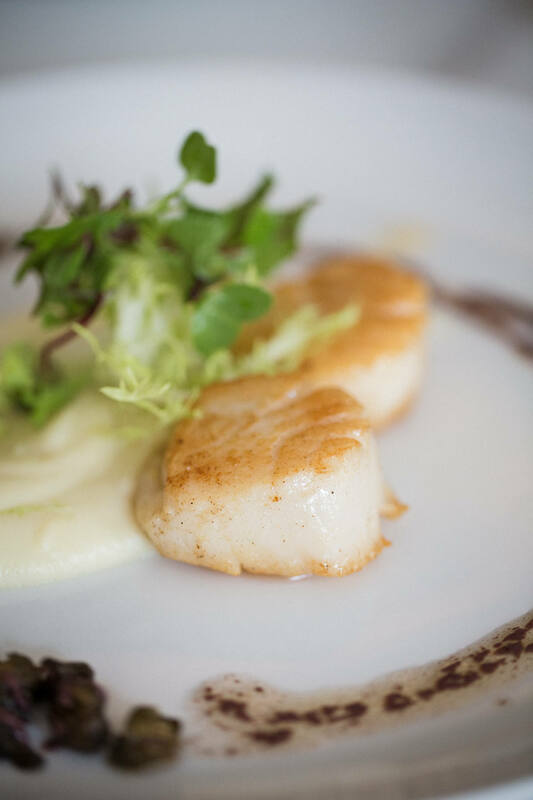 These scallops were cooked to absolute perfection and just melt in your mouth. I liked that they were plated with the parsnip purée and the crispy capers that added a little bit of crunch. It’s plated with two scallops so I don’t recommend sharing (haha!). They are just so tasty you won’t want to. 2. 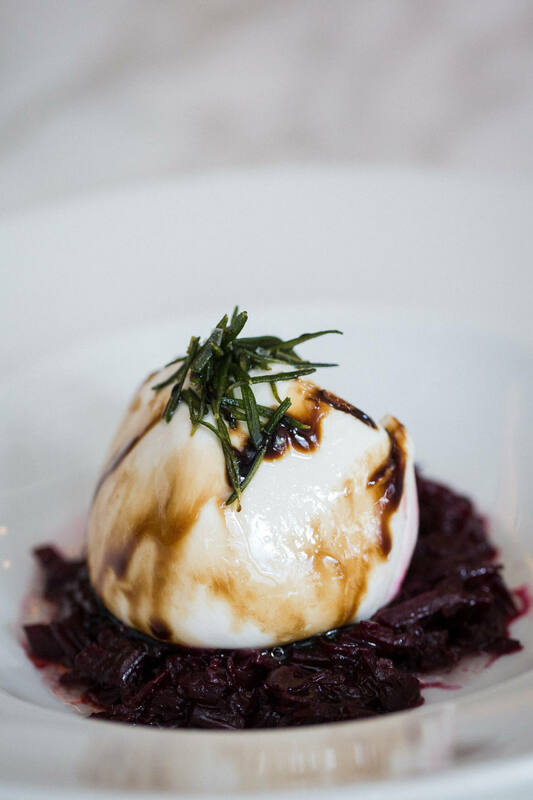 Burrata – fresh Ontario burrata, buttered beetroot, vincotto, crispy rosemary. I’ve never had Burrata that I didn’t like, it’s the holy grail of soft cheese (in my opinion). This burrata is very creamy and the buttered beetroot is the perfect touch of flavour that adds a little sweetness to the cheese. 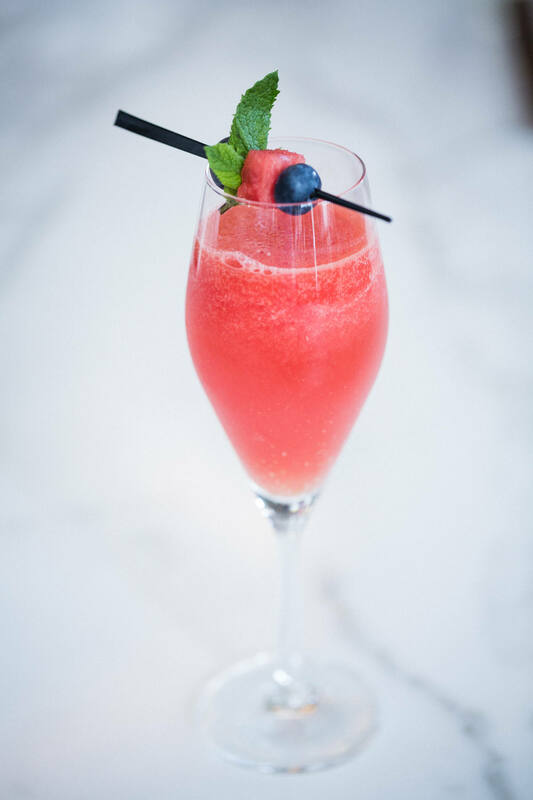 This is a great appetizer to share with friends with a glass of bubbly prosecco. 3. 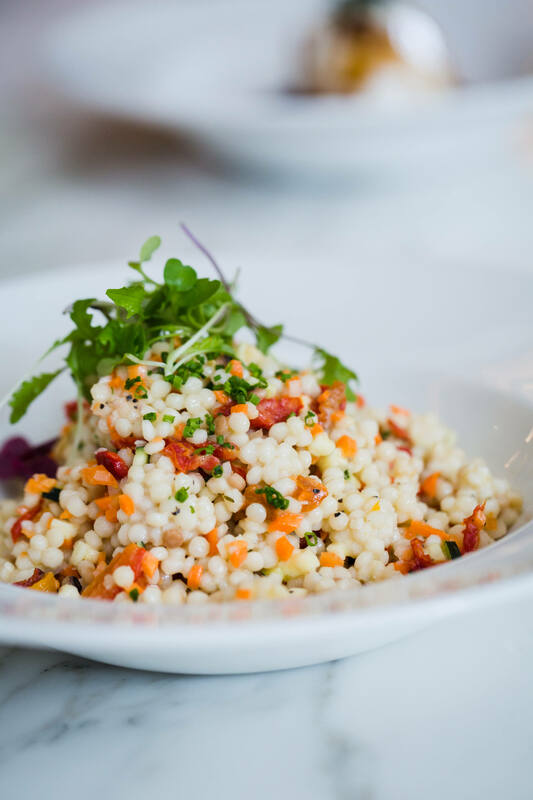 Israeli Couscous Mix – zucchini, carrots, shallots, mixed peppers, sundried tomatoes, chives, orange-honey vinaigrette. This salad was to die for and you simply have to try it the next time you visit Ricarda’s! It was so fresh and just bursting with flavour. This is a really great dish for summer and perfect for sharing. I’m not a big salad person, but this…this I would order every time. 4. 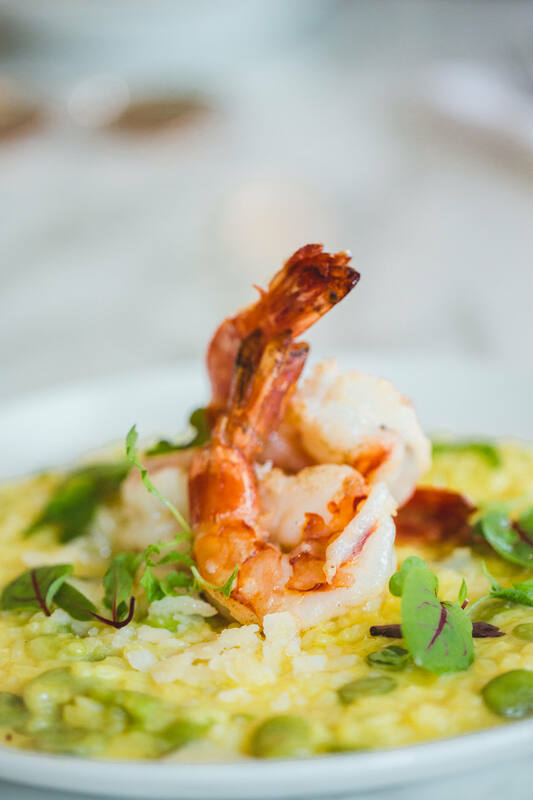 Prawn & Saffron Risotto – king prawns, fava beans, pecorino cheese. This is not just a beautiful plate…by far my favourite dish out of the five. The Prawns were “off tha charts” as my friend Meg would say 😉 In all seriousness though…the fava beans and pecorino cheese just made this risotto for me. It is to die for! It’s pretty rich in flavour so I would suggest sharing this plate as it might be heavy for some people, but worth every last bite! 5. 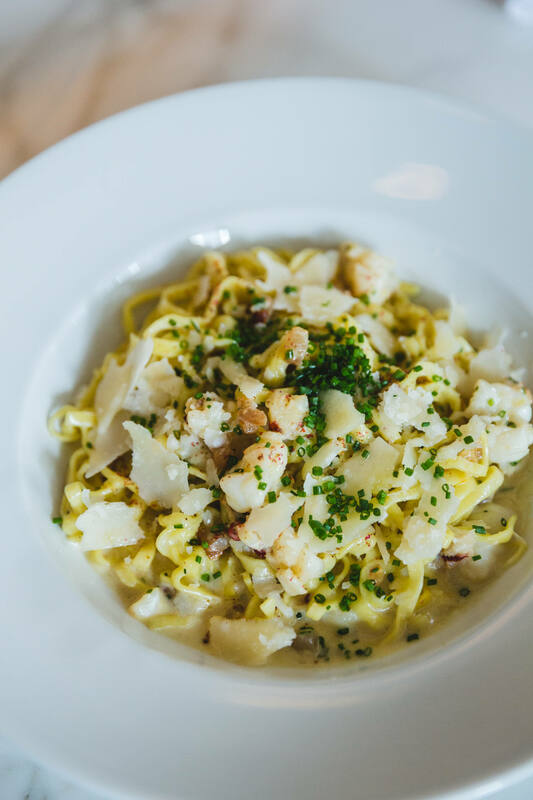 Lobster Linguine – double smoked bacon, saffron cream, manchego cheese. This tastes just as good as it looks. This dish is also rich and creamy but the pasta doesn’t feel as heavy as the risotto. The saffron cream sauce is very flavourful and the manchego cheese adds the perfect flavour to round out the dish. This is definitely my runner up to the risotto. We really enjoyed all of these dishes and our lunch at Ricarda’s. 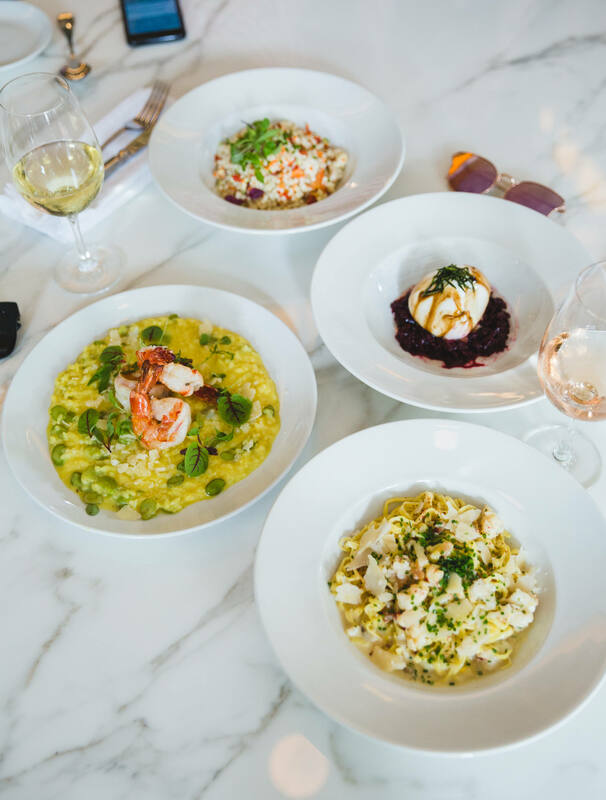 Their mediterranean dishes will make your mouth water and I guarantee you’ll leave feeling very full and satisfied. Their huge windows and high ceilings make the space bright and inviting, it’s the perfect place to relax and enjoy a good meal with friends and family. The staff are also incredibly friendly and helpful, we were so pleased with our visit. 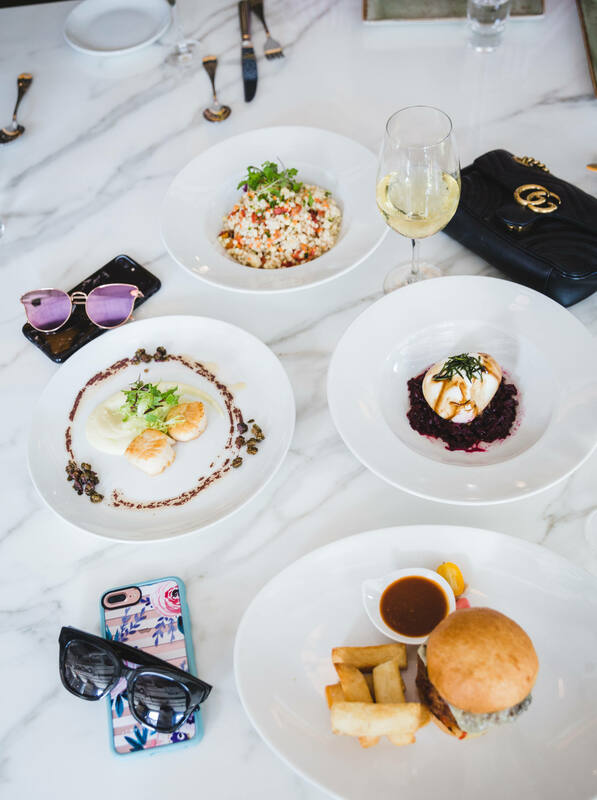 If you go to Ricarda’s, you’ll have to tell me what you ordered and your favourite dish. If you have one to add to this list I’d love to know what it is so we can try it next time! Enjoy! Everthing looks so fresh and delish! You can’t say no to a lovely restaurant like this! I love the decor and the ambiance and the food looks so amazing! How I wish I lived nearby so I can drive here and just sample everything myself!